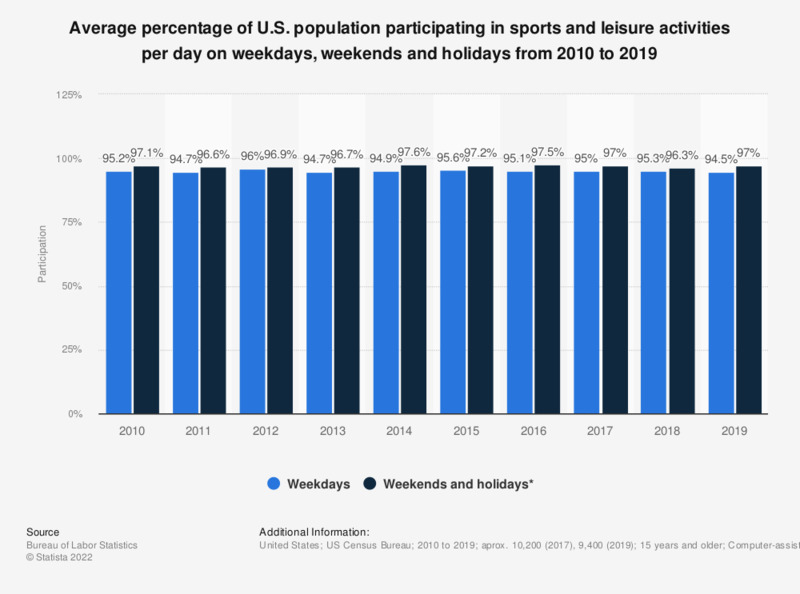 This graph depicts the average percentage of the U.S. civilian population participating in sports and leisure activities per day on weekdays and weekends and holidays from 2010 to 2017. On weekdays in 2017, an average of 95 percent of the population participated in leisure and sports activities per day. * Holidays are New Year's Day, Easter, Memorial Day, the Fourth of July, Labor Day, Thanksgiving Day, and Christmas Day. Leisure and sports includes sports, exercise, and recreation; socializing and communicating; and other leisure activities like watching TV. Which of the following are the two essential elements of the ideal holiday camp?